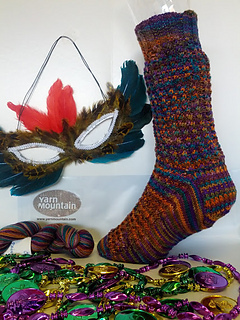 Mardi Gras socks are suitable for an enthusiastic beginner. 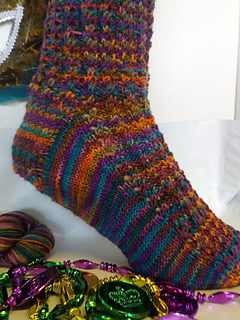 They are knit from the top down in an easy-to-remember 4-stitch rib repeat. The pattern is written for a medium women’s shoe. It can easy be adjusted for different sizes by increasing or decreasing 4 stitches at a time. 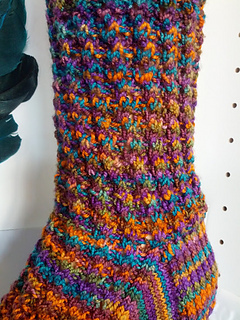 The leg length is 8”, which can also be easily adjusted to suit individual preference by adjusting the number of pattern repeats. 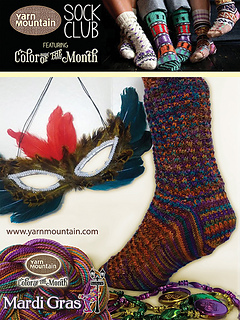 This is the featured project for the Yarn Mountain Sock Club, March 2013.